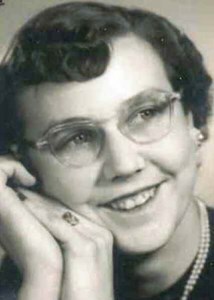 Newcomer Family Obituaries - Laura L. Gershom 1929 - 2018 - Newcomer Cremations, Funerals & Receptions. Laura L. Gershom of Akron, Ohio, passed away November 27, 2018. She was born July 25, 1929 in Toronto, Ohio to late parents Frank and Dorothy Chidester. Laura loved traveling to many places around the world with her late husband, James S. Gershom, and was very active in the Firestone Park Prime Timers. She worked for over 35 years at Firestone Bank/Banc One, from where she retired. Laura was preceded in death by her husband of 55 years, James S.; daughter, Dorothy Shaw; and grandson, Jeff Harmon. She is survived by her son, James F. Gershom, and grandson, Bryan Harmon. Visitation will be held from 3-7pm on Tuesday, December 4, 2018 at Newcomer Funeral Home, 131 N. Canton Rd., Akron. Funeral service at 12pm on Wednesday, December 5, with visitation one hour prior to service. Interment at Crown Hill Cemetery, Twinsburg to follow. Remembering special thanks to caregivers Billie, Kathy and Tammy for their compassion. Add your memories to the guest book of Laura Gershom.